In February 2017, Sea Shepherd began a three-month campaign to patrol the coastal waters of the Republic of Liberia in West Africa in an operation to tackle illegal, unreported and unregulated (IUU) fishing in partnership with the Liberian Ministry of National Defense. After a successful start the campaign continues today to stop vessels committing fisheries crimes in Liberian waters. It’s estimated that between 11 and 26 million tons of fish are caught globally through illegal, unreported and unregulated (IUU) fishing per year. Developing countries are particularly vulnerable to IUU fishing, which accounts for up to 40% of the fish caught in West African waters. In 2010 Liberia adopted an inshore exclusion zone that reserves the six nautical miles closest to shore for subsistence, artisanal and semi-artisanal fishing, a sector which employs 33,000 Liberians. 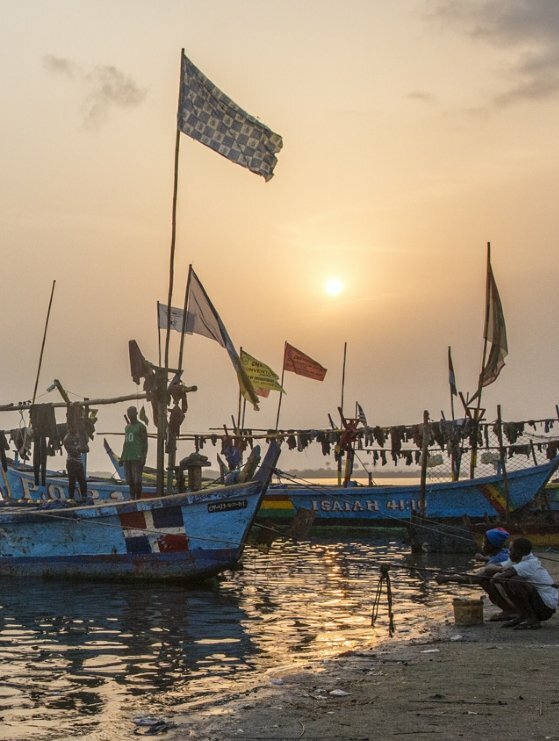 Although trawling -- which targets fish living close to the seabed such as shrimp, sole and other groundfish -- is not allowed inside this inshore exclusion zone, Liberia’s resources to monitor, control and surveil their coastline are stretched. Sea Shepherd was invited to Liberia in 2017 by the Minister of National Defense, the Honorable Minister Brownie Samukai, to assist with the patrolling of their sovereign coastal waters and help crack down on illegal, unreported and unregulated (IUU) fishing. Sea Shepherd’s M/Y Bob Barker patrolled Liberia’s coastline as a civilian offshore patrol vessel, with 20 crew under the direction of Campaign Leader Peter Hammarstedt, ten Liberian Coast Guard sailors with the authority to board, inspect and arrest ships violating Liberian law, and two Israeli maritime advisors and conservationists providing training assistance. Sea Shepherd's M/Y Sam Simon continued the campaign into 2018. 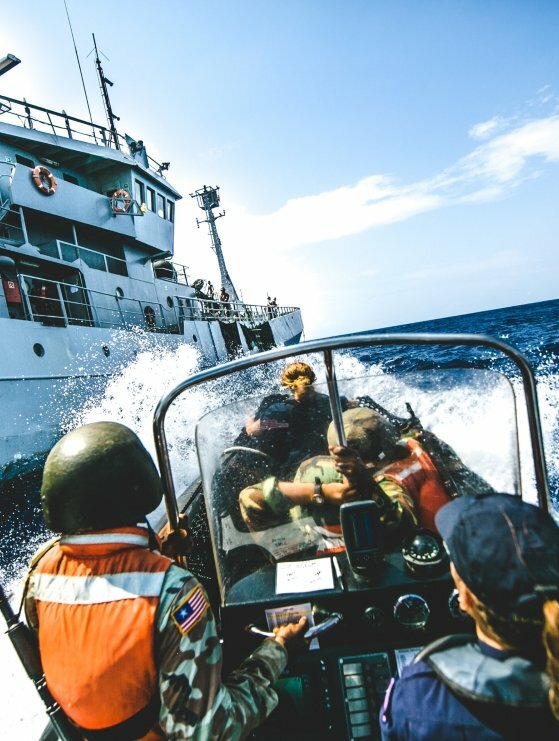 In its first three months, Operation Sola Stella resulted in the arrest of five illegal fishing vessels committing over 50 violations of Liberian laws and maritime regulations, including fishing without permits, operating without vessel documentation, fishing in restricted zones, systematic underdeclared catch, attempted bribery of a Liberian Coast Guard officer, and undocumented workers without passports living in unsanitary conditions. A shrimp trawler certified by the US Department of State to export shrimp to the United States was caught without a valid fishing permit and without using the legally-required Turtle Excluder Devices (TEDs), and a refridgerated cargo reefer was arrested transmitting a false identity to the Liberian port authorities where it was planning to offload 460 tons of undocumented fish cargo. Thanks to these successes, Operation Sola Stella continues its mission and partnership with Liberian authorities in 2018. Operation Sola Stella Crew on the M/Y Bob Barker. Photo by Karine Aigner. Liberian Coast Guard training. Photo by Karine Aigner. 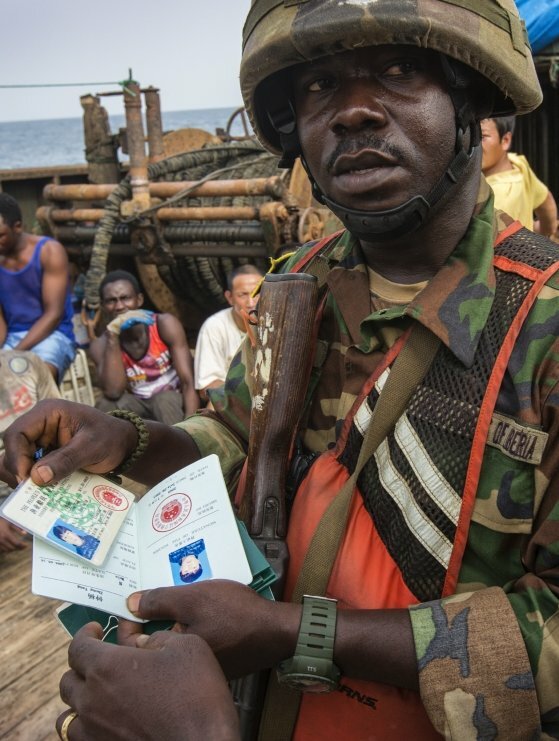 Liberian Coast Guard interrogation on an illegal trawler. Photo Karine Aigner. Inspection of the catch on board an illegal fishing trawler. Photo Karine Aigner. Preparing to board the Star Shrimper XXV. Photo Alejandra Gimeno. Liberian Coast Guard securing an illegal trawler. Photo Michael Rauch. Sea Shepherd and Liberian Coast Guard inspecting the Lian Run. Photo Michael Rauch. Inspecting the cargo of the Lian Run. Photo Michael Rauch. Boarding drill with the Liberian Coast Guard. Photo Michael Rauch. The M/Y Bob Barker off the coast of Monrovia, Liberia. Photo Alejandra Gimeno. 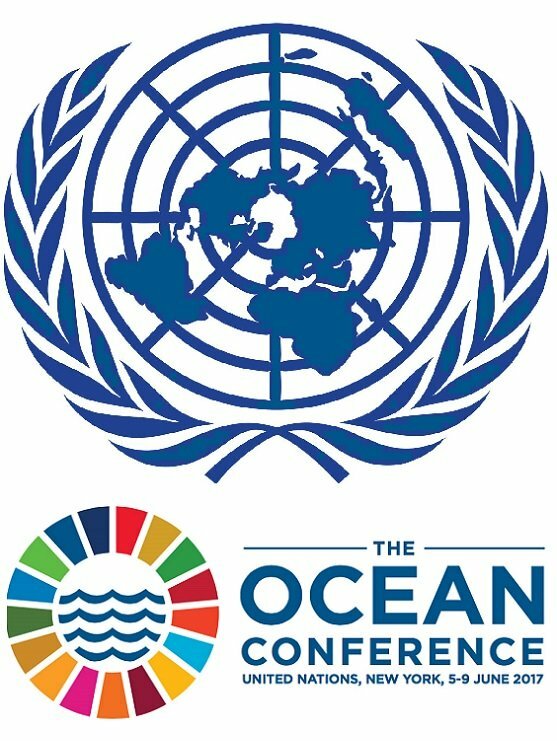 Operation Sola Stella is part of Sea Shepherd Global's Voluntary Commitment for the Ocean, established at the 2017 United Nations Ocean Conference in NYC (#OceanAction17190), to partner with African Coastal States to eradicate IUU fishing in their sovereign waters. Other campaigns include Operation Albacore in Gabon and São Tomé and Príncipe, and Operation Jodari in Tanzania.